HostUtopia Review 2019: Is HostUtopia a Good Hosting? Founded in 1996, HostUtopia is one of the pioneer web hosting service providers in Canada. They offer a range of premium hosting plans with CDN, dedicated servers, SSL certificates, domain registration services, and 24/7 customer support via multiple channels. They've acquired a number of hosting companies and built a strong brand. 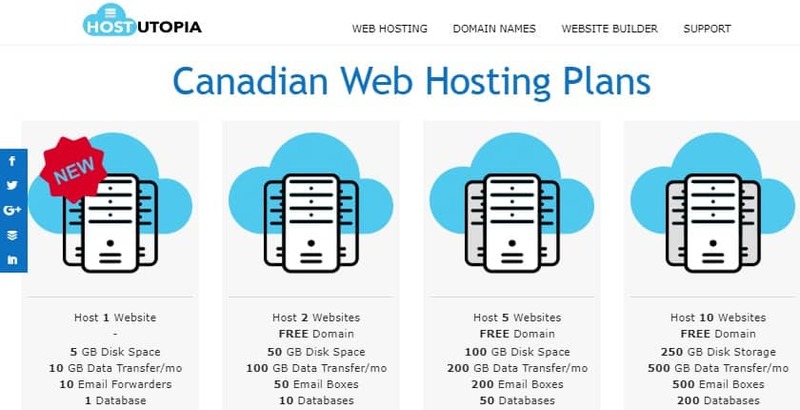 HostUtopia has been offering domain registration services, premium web hosting, email hosting, dedicated servers, and reseller packages to Canadian and international customers since 1996. Starting with a hosting facility in Vancouver, they now have multiple data centers which cover every major city in Canada including Toronto, Halifax, Calgary, and Montreal. 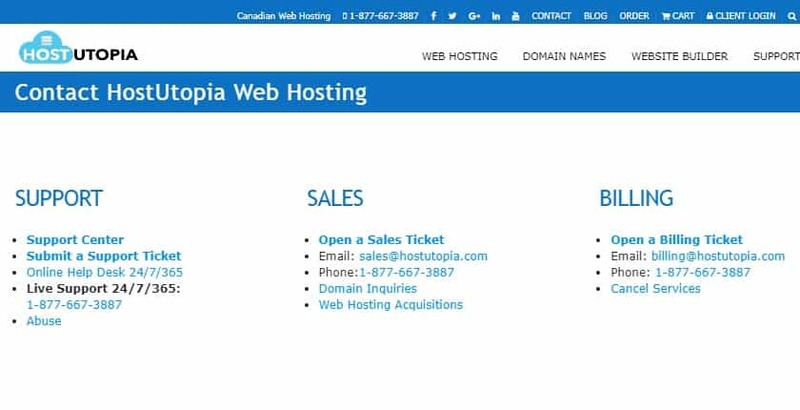 Within minutes of signing up at HostUtopia, you can build a functional website using the Kopage Website Builder under your cPanel. It comes with hundreds of beautiful, mobile-friendly, and e-commerce-ready templates that you can customize to suit your business website or online store. You can embed maps and videos, integrate social network and PayPal buttons, and even optimize pages using the free SEO tools. Over 500,000 royalty free images and a number of modules are included in the package. Don’t worry about website speed and security as HostUtopia leverages Cloudflare CDN to accelerate the performance of websites and bolster their security. Your CDN-connected personal blog or business website will load twice as fast as a standard website on a shared hosting account and use 60% less bandwidth. In addition, you’ll get access to powerful stats about website visitors. When it comes to backups, HostUtopia has got your back. Don’t worry about accidental deletion or unsanctioned changes to your website. You can retrieve your files and databases anytime and roll back your website with a few clicks. They offer 45-day backups with 90 restore points via R1Soft. HostUtopia has a number of affordable and feature-rich hosting packages with little-to-no upsells. Provisioning is instant. I like the fact that they offer incremental discounts starting with 2% for quarterly plans and 5% for semi-annual plans. Customers can save more when they sign up for their annual plans, two-year plans, or three-year plans with between 10%-20% discounts. Behind the scenes is a terrific team of English-speaking hosting professionals, comprised of network engineers and experienced WordPress techs. Available 24/7, they can assist you with website transfers, DNS issues, server configuration, and troubleshooting hosting accounts. You can call their telephone support number, chat with them, submit a ticket, or send them an email whenever you need help. My only concern is that escalated and re-escalated tickets take days to resolve. Aside from real-time support, they also have useful video tutorials and a pretty detailed guide that will come in handy when troubleshooting minor hosting problems. With a number of e-commerce-ready hosting packages and powerful account management tools, HostUtopia has the capacity to meet the diverse hosting needs of both local and international customers. Get Cheap & Feature-rich Hosting Today! Wondering how HostUtopia stacks up against other Web Hosting companies? Enter any other Web Hosting company and we will give you a side-by-side comparison.